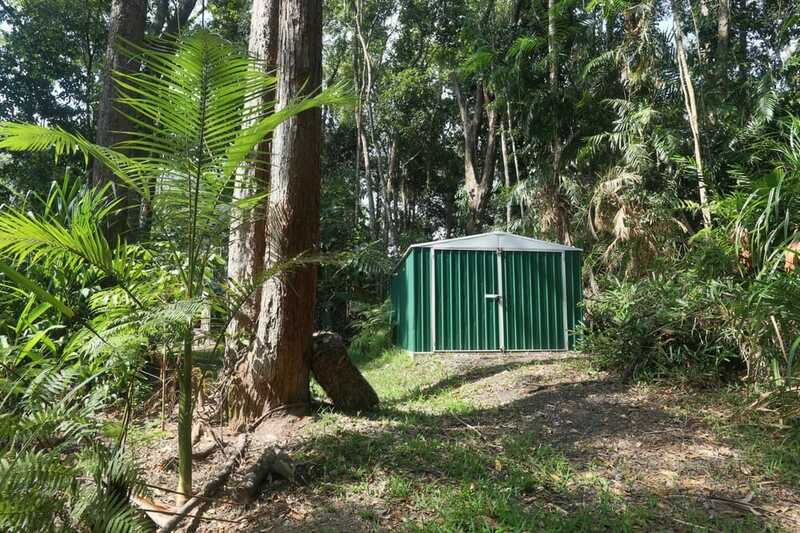 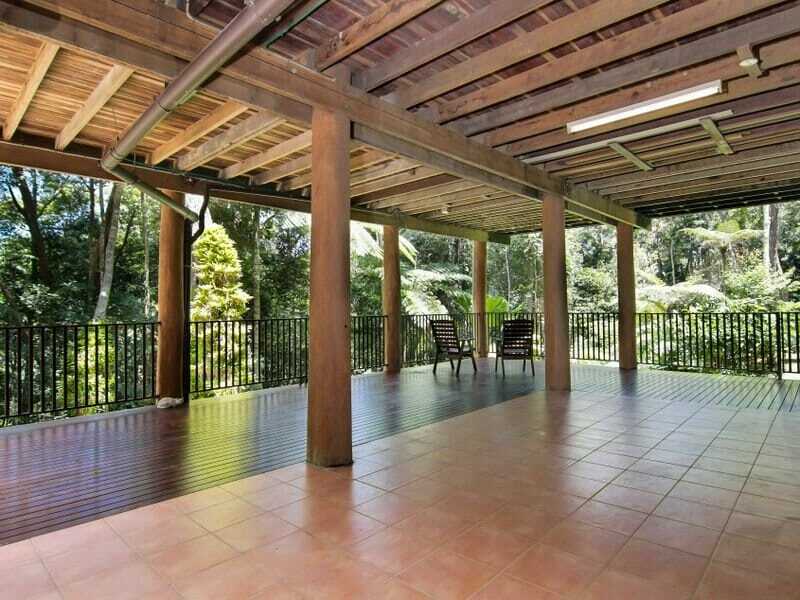 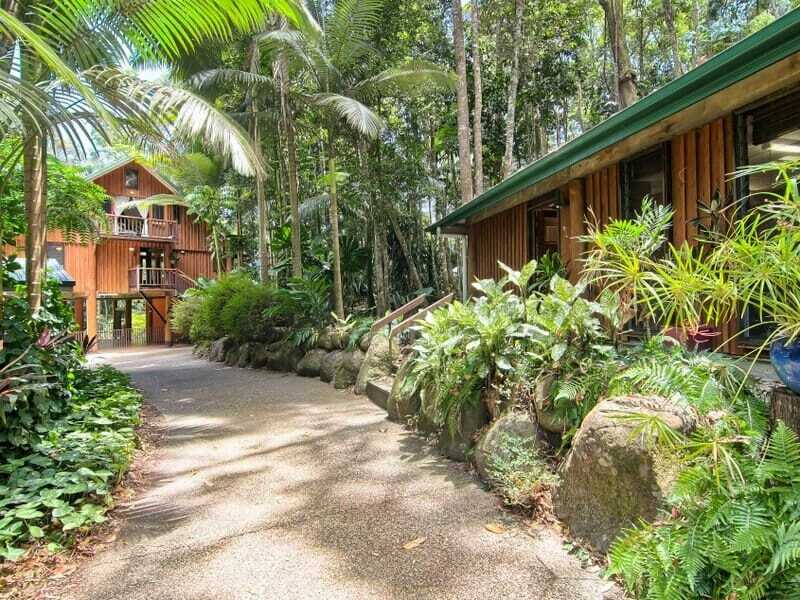 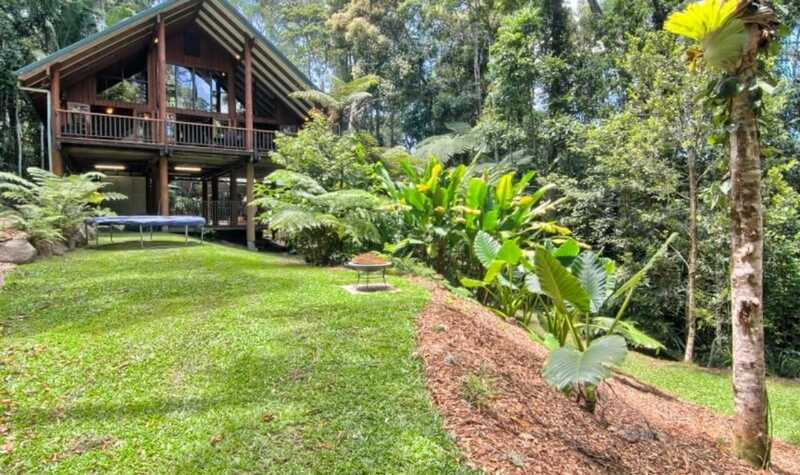 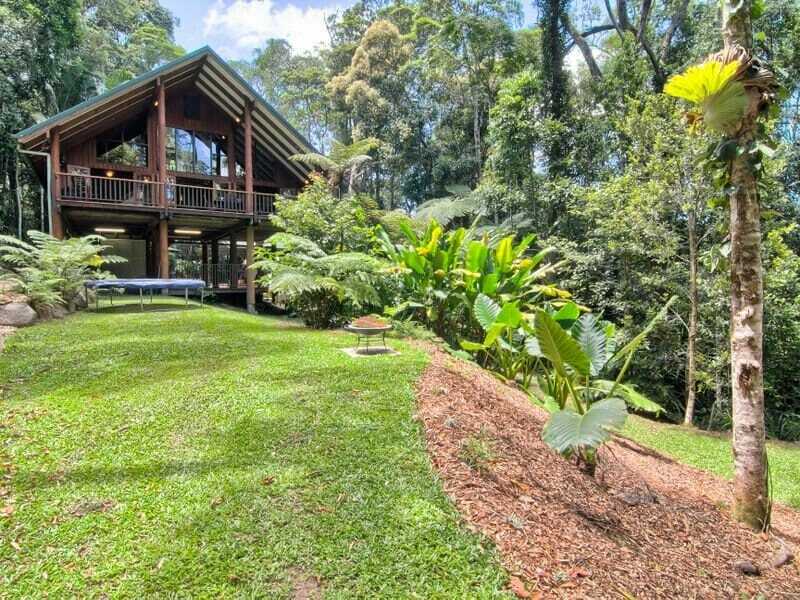 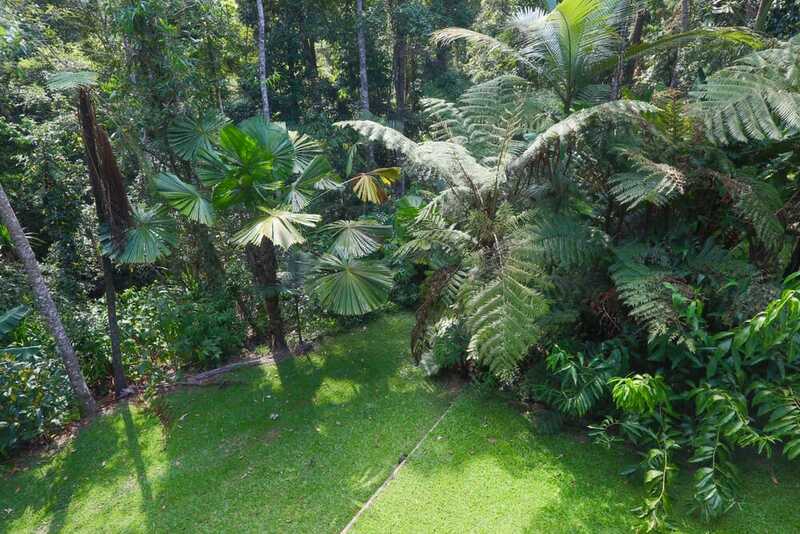 You’ll love this gorgeously cute pole home with granny flat – set on approx 1 acre of private rainforest gardens in this highly sought after area of Kuranda… “Top Of The Range Estate” making it an easy commute to Cairns. 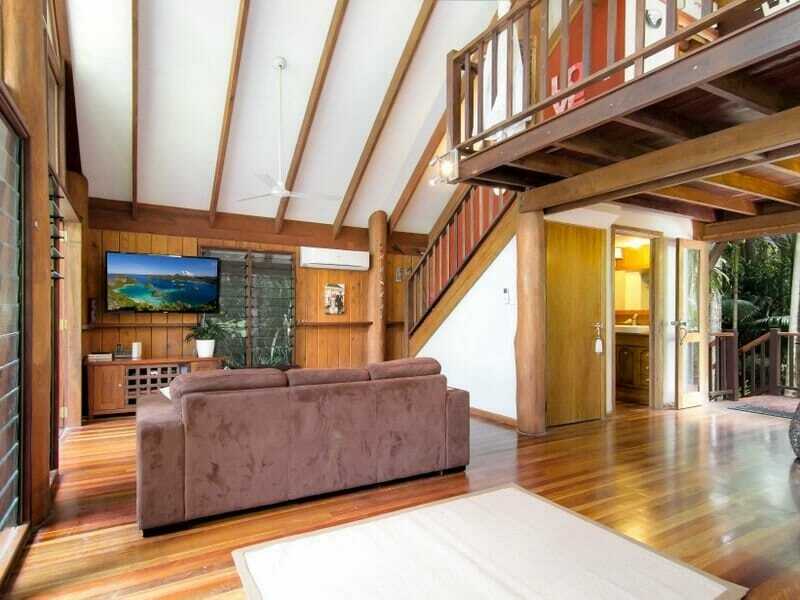 Is split level, has catherdral ceilings, glass louvres, wooden floors and is very bright and airy. 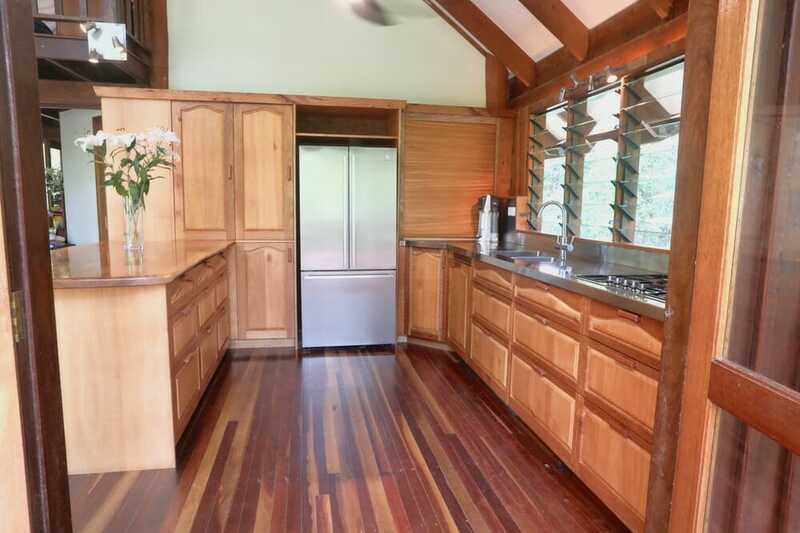 The kitchen is impressive. 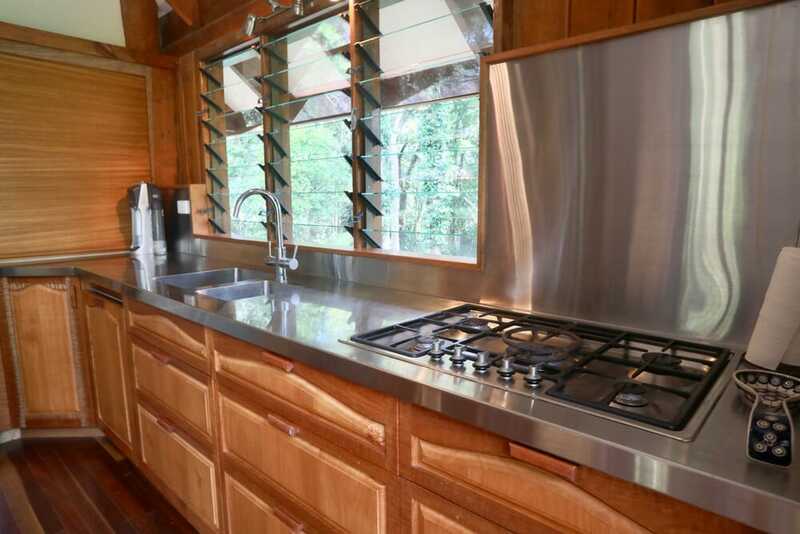 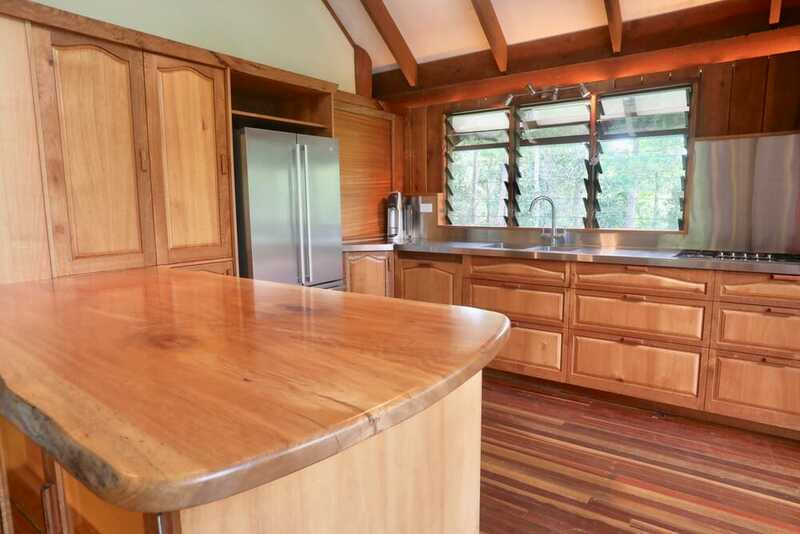 High quality and only a couple of years old, no expense has been spared in the design, layout and construction with custom made wooden doors, bench tops and stainless steel sink area. 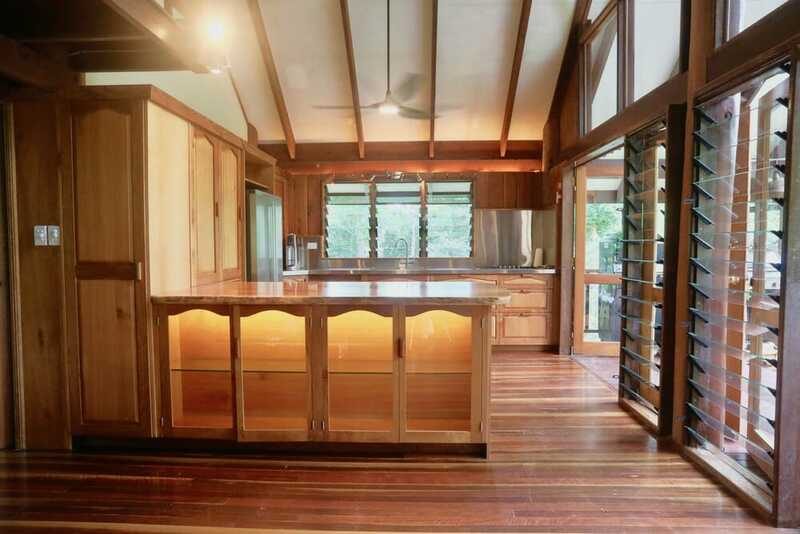 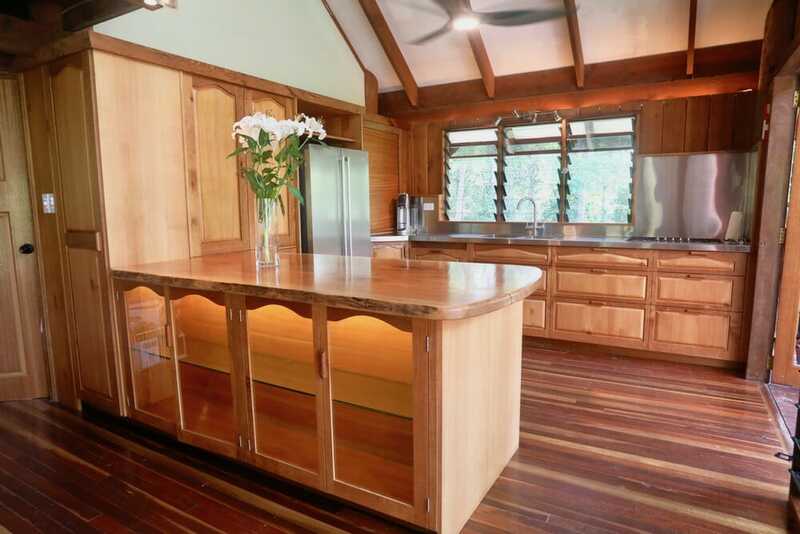 Beautiful bench top is Queensland Maple, doors and solid wooden drawers are Queensland Silkwood. 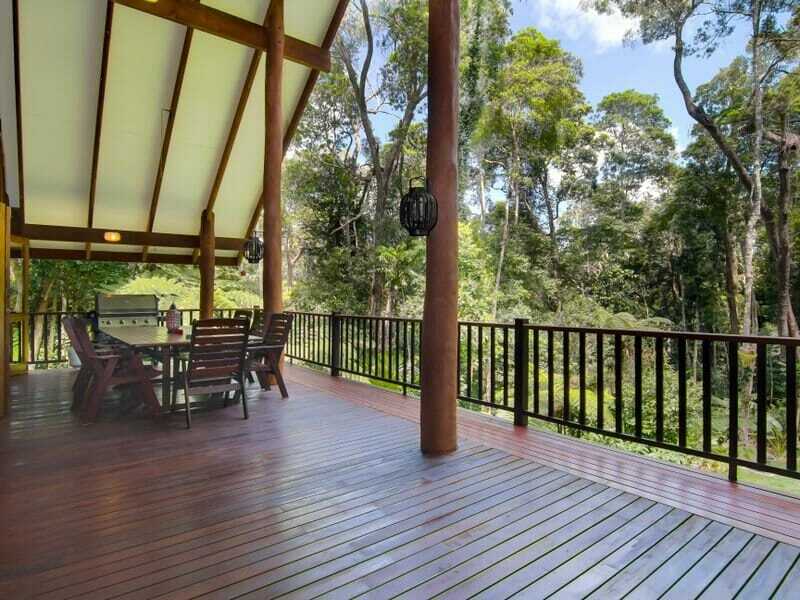 The kitchen and living areas open out onto a HUGE lifestyle balcony overlooking rainforest gardens -ideal for outdoor living, entertaining and relaxing. 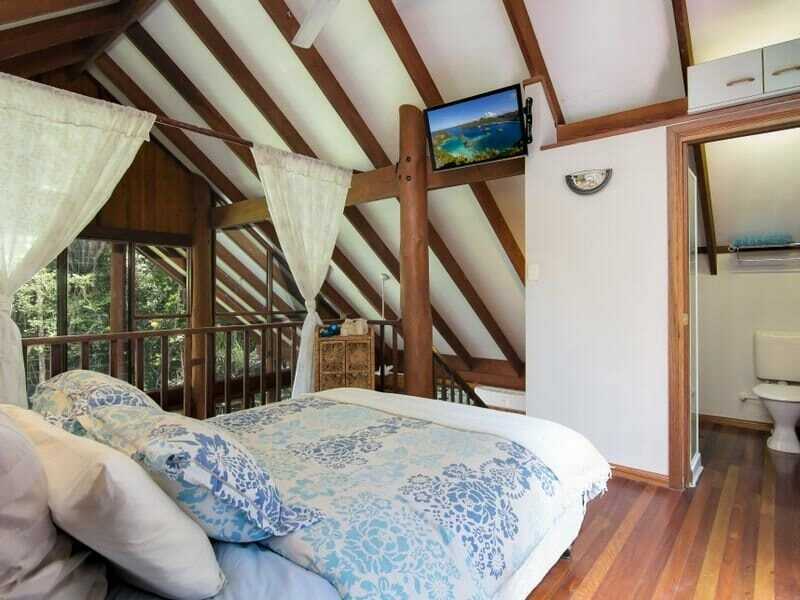 The master bedroom is on the mezzanine level with its own little balcony, walk in robe and ensuite. 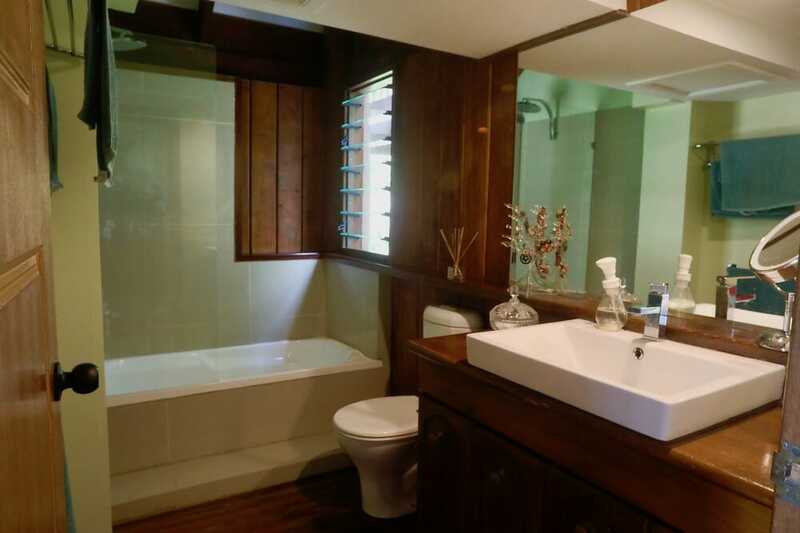 The 2nd bedroom and main bathroom are on the same level as main living area. 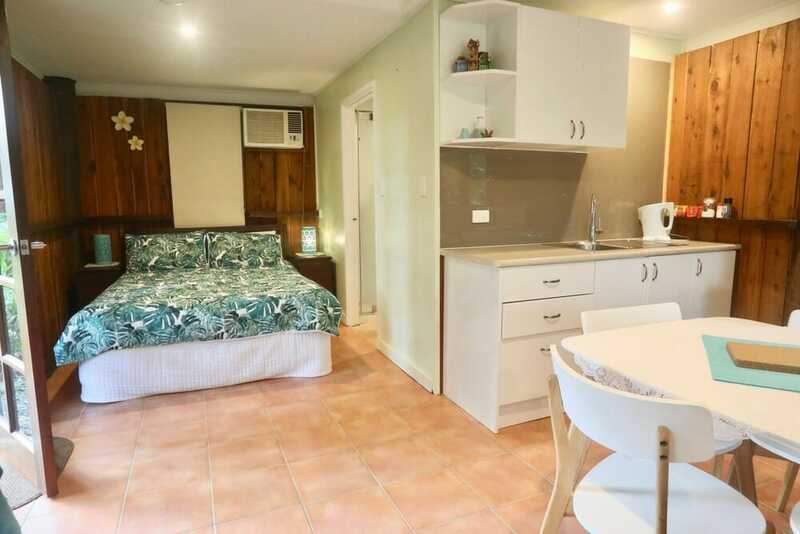 There’s enormous potential for doubling the size of the house by using the open air tiled area under the house which currently has a new laundry area. 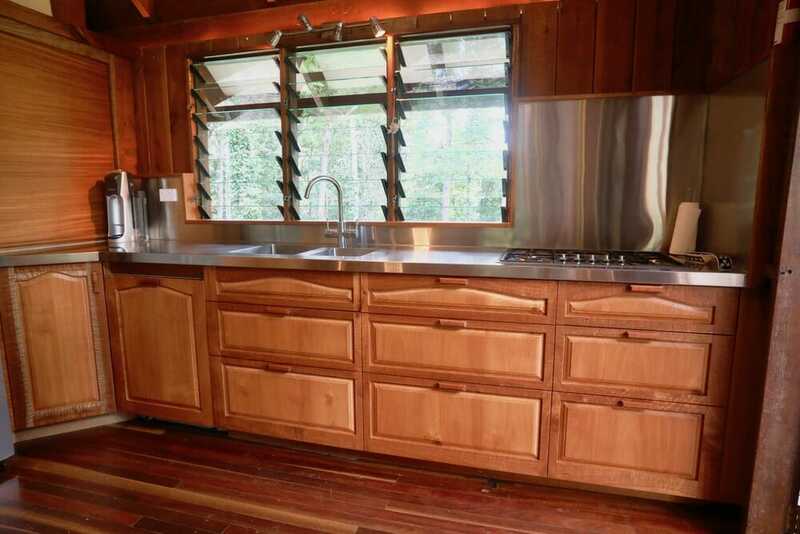 Is tiled, freshly painted and has new louvred windows. 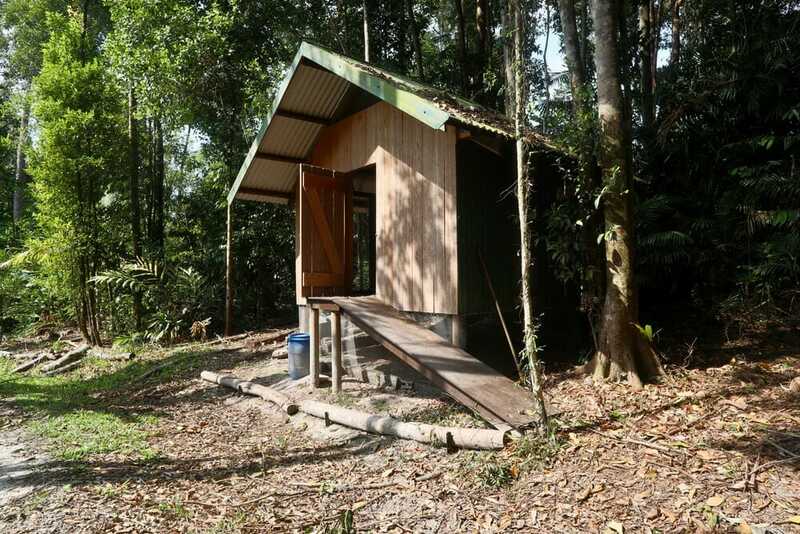 It’s self-contained studio style with air conditioning, Kitchenette, shower/toilet and laundry facilities. 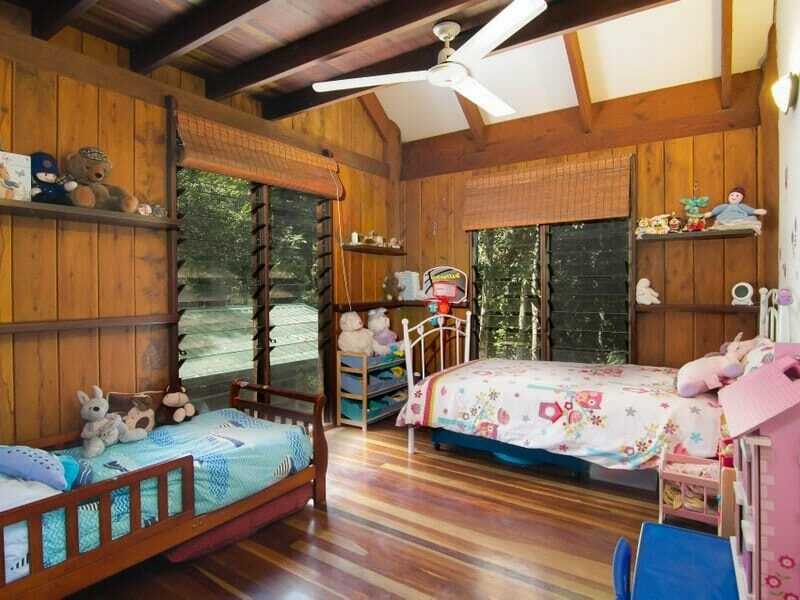 It’s also been run as a successful air B&B with great reviews! 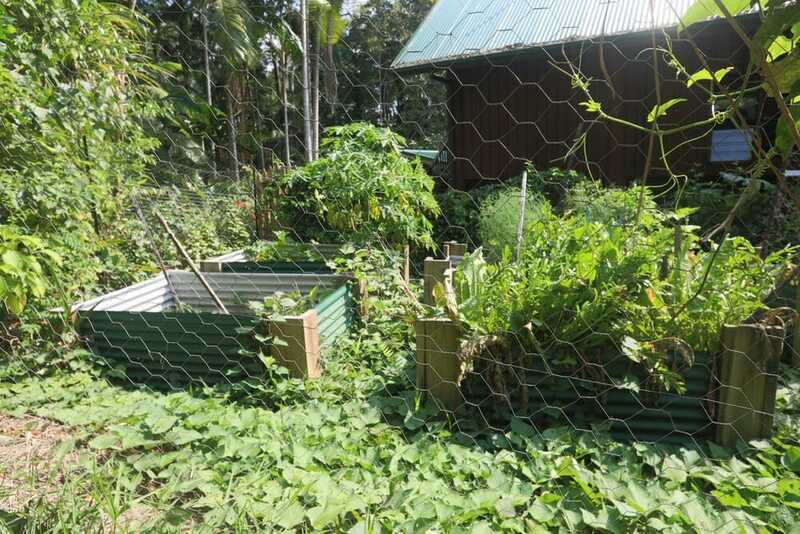 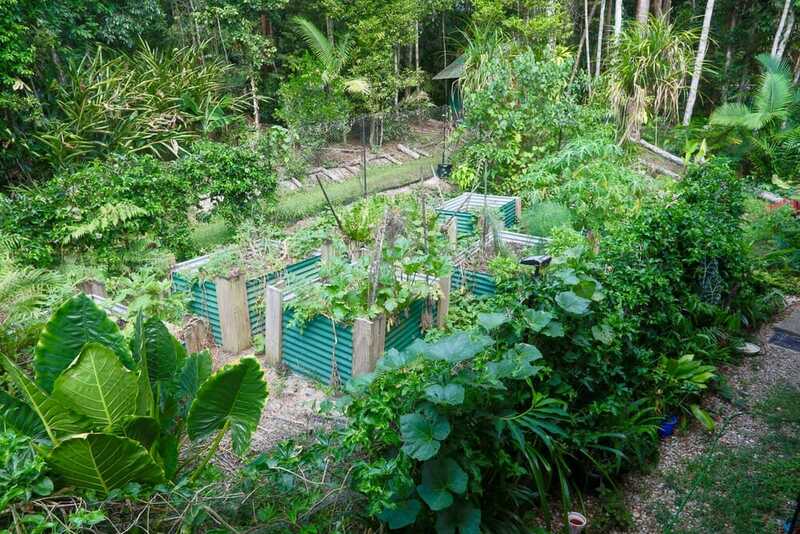 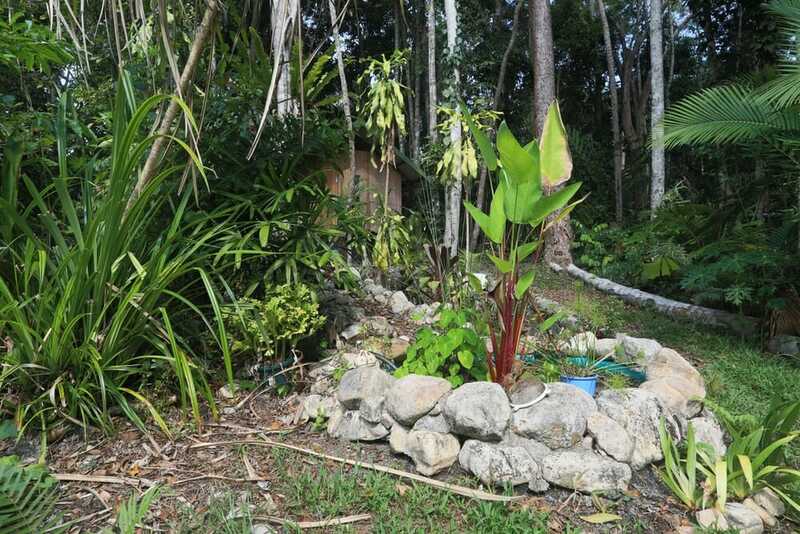 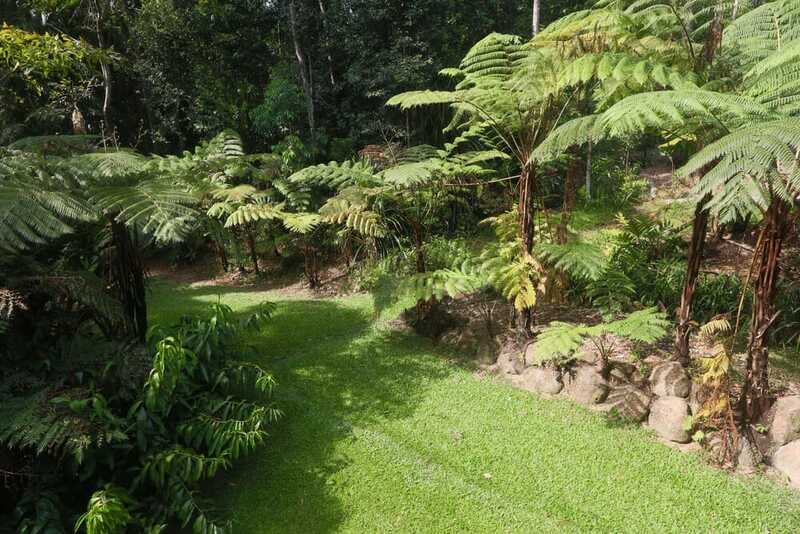 The tropical garden has open useable space, established veggie gardens plus a seasonal creek with a little sandy beach to climb down to and explore. 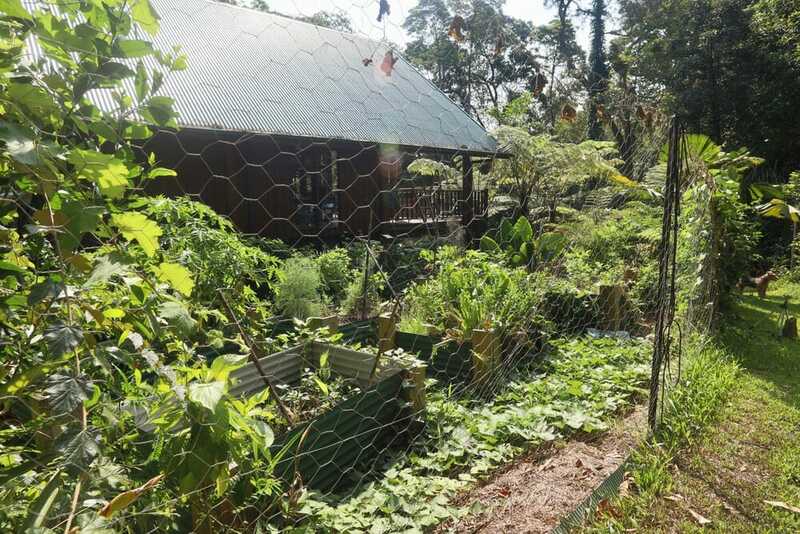 Luxury chicken coop and garden shed are a fabulous addition! 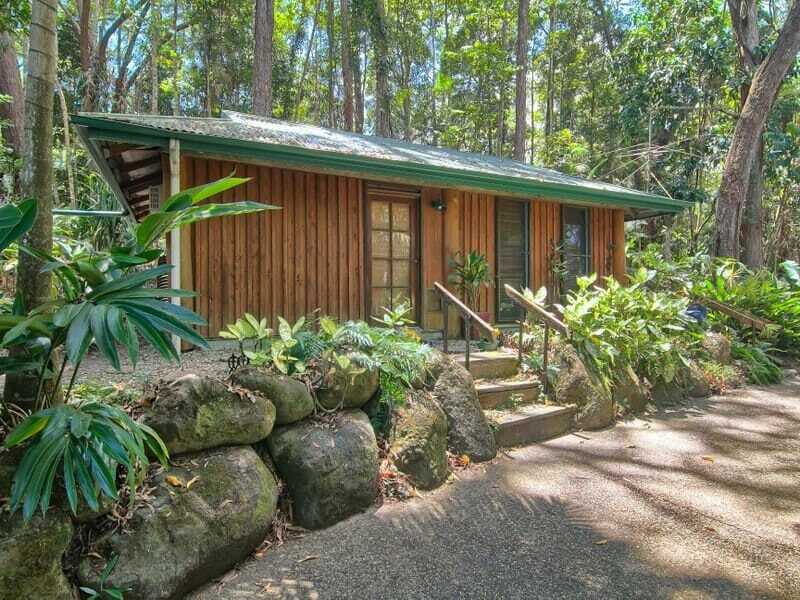 DONT MISS OUT on this exceptionally affordable gorgeous little sanctuary – call today for private inspection.